Previously: Did The Lord Choose Not To Anoint 'The Lord's Anointed'? Prior to his being called to the First Presidency of the Church, Henry B. Eyring had served twelve years as an Apostle of the Lord. Last week an anonymous source leaked copies of Brother Eyring's pay stubs from the year 2000, showing the apostle had been paid in excess of $89,000.00 for his service to the Church that year. That was seventeen years ago. A second document was leaked concurrently with those pay stubs. This was a letter from the Presiding Bishopric dated January 2, 2014, addressed to a member of the Quorum of the Seventy. It informed the recipient that "the annual general authority base living allowance has been increased from $116,400.00 to $120,000.00" and "This will begin with your paycheck issued on January 10, 2014 (pay period I)." You can imagine the stir this created once news was leaked to the press that the so-called members of the "unpaid clergy" at the top of the LDS Church were in fact being paid quite handsomely. You could also have easily predicted the response from Salt Lake as the Church PR machine went into high gear in an attempt to contain the scandal. This is a non-story, the narrative went, that pay scale is less than what the average college professor earns. The general authorities work hard in service to the church, and in most cases have given up lucrative careers that would have paid much more had they remained in their secular careers. Besides, doesn't everyone already know the general authorities are given a modest allowance to assist them in their work? This isn't news. Look, here's a picture of the ordinary house in an ordinary neighborhood Spencer W. Kimball lived in during his years as president of the Church. Does it look like he was living extravagantly? You can't really argue with any of that. To some of us, it was not news that the general authorities receive what has been variously called a "modest stipend" or a "living allowance." The debate now seems centered over the definition of the words "modest" and "allowance." "The fact that GAs receive compensation is not the issue. The issue is that the party line of the church has always been that they have no paid clergy, and many if not most members spout that party line (I did, as a missionary). That party line is not true. GAs and mission presidents do receive payment from the church for the fact that they are "volunteering" their time, talents, energies, etc to building up the kingdom. Call it a stipend, call it a living allowance, call it a salary, call it filthy lucre; whatever you call it, it is legal tender that allows them to maintain a relatively decent lifestyle. The 'living allowance' is not the issue. The issue is the facade, the false notion, mostly implied but never clarified, that they all work for free, as rank and file members are required to do. If the church were a little more upfront about that, it would be no 'scandal' at all." I guess it all depends on Hinckley's definition of "extensive." It's true that the vast majority of ministers in the LDS Church -the bishops, Stake Presidents, Ward Leaders, and such- are more extensive in number than the few at the top in Salt Lake, and they certainly are not paid. So when Hinckley says that particular faction of the leaders -the more "extensive" number of them- must never move in the direction of a paid ministry like they have in other churches, he's on safe ground. Technically, he was correct; the extensive ministry in our church is not paid. What Hinckely did not admit was that a not-so-extensive faction of the ministry does get paid, and quite well. President Hinckley's listeners were hearing what he wanted them to hear: that there is no paid ministry in this church whatsoever. And that part of his message simply wasn't true. Elder Oaks is choosing his words carefully here, just as President Hinckley did during his talk. Dallin's statement is technically true, because he neglected to mention General Authorities in that mix. I'm reminded of a lecture Elder Oaks gave before a group of law students at BYU in 1993. The topic was "Lying." "The difficult question is whether we are morally responsible to tell the whole truth. Where there is no duty to disclose, we have two alternatives. We may be free to disclose if we choose to do so, but there will be circumstances where...professional obligations require us to remain silent...I urge you who are lawyers and lawyers-in-preparation to be sophisticated as you think about these subjects...It requires sophisticated analysis of the circumstances and a finely tuned conscience to distinguish between the situation where you are obliged by duty to speak and the situation where you are obliged...to remain silent. An additional area where Oaks "remained silent" in his conference talk above was in choosing not to mention how much mission presidents actually get reimbursed. When you take into account that every conceivable living expense a mission president might possibly accrue is provided for them -from housing, to groceries, to medical, to cooks and housekeepers and babysitters and schooling and recreation and pretty much anything his wife and kids can think to ask for -it's a bit of a stretch to claim mission presidents aren't paid anything. You can't claim Uchtdorrf was lying. After all, he did say we have no paid local clergy. That's right. That there is an apostle of the Lord at the very moment he is being paid money for contributing his talents, his means, and his travel for his Church job, telling a bald-faced lie to a gentile in hopes of impressing the guy that it's all coming out of his own pocket. That's two certifiable fibs in the space of two short sentences. That's gotta be a record, even for Monson. The reason the Brethren have been less than forthcoming about how they make their living is not merely to deceive the members. The teaching that Mormons have no paid ministry has long been an essential part of our missionary program. You can't underestimate the effect these bible "proofs" had on a good number of investigators. These people sat in their own church meetings week after week as their deacons "passed the plate" down the aisle. Every member of the congregation was expected to contribute cash toward the support of their pastor, and frankly, some of these investigators were tired of the incessant guilting. Introducing these people to passages from the bible proving that ministers who asked for money were operating contrary to God's will had an immediate effect. The "unpaid ministry" of The Church of Jesus Christ of Latter-day Saints was a highly effective selling point. We Mormons took particular pride in the fact that, unlike other churches, our leaders volunteer their time for free. Join our church, Mr. Brown, and you won't be taking food out of the mouths of your children in order to feed some preacher's kid. Our church is an all-volunteer church. Step right up to the baptismal font, and no crowding, please. Elder Cuthbert looked straight into the camera and delivered those words all the while knowing he was drawing a pretty cushy salary at the time he uttered them. And he was telling the truth. But what Brother Smith did not say was that the general authorities do get salaries; they just don't come out of the member's tithing money. Those salaries are paid out of investments that have been derived from the member's tithing. The billions in tithing are used as capital to invest in projects of the leader's choosing, after which the leaders live quite well off the millions of dollars in interest derived from those investments, with plenty more interest left over to reinvest in other schemes. "Unfortunately there are those who seem to take delight in offering criticism and in finding fault without knowing the true conditions…It can be said also that the officers of the Church of Jesus Christ of Latter-day Saints who labor without salaries coming out of the pockets of the members,[wink, wink], are just as spiritually minded, have just as good judgment and wisdom in directing the temporal as well as the spiritual welfare of the people, as are any of the ministers who spend their entire time in what may be called spiritual counsel. For instance, the bishops of our wards and the presidents of our stakes and other officers give their time freely without any monetary compensation paid by members of the Church." Did you notice the pivot? Joseph Fielding started out claiming the officers in our church -the general authorities- who "labor without salaries coming out of the pockets of the members," are every bit as qualified as the ministers of other churches who get paid for their ministries. But then something magical happens. In the very next sentence, he is comparing those fat-cat ministers of other churches to our bishops and stake presidents, who we know work for free. He has flipped the argument, directing the reader's focus away from himself and the other general authorities, and onto our local leaders. 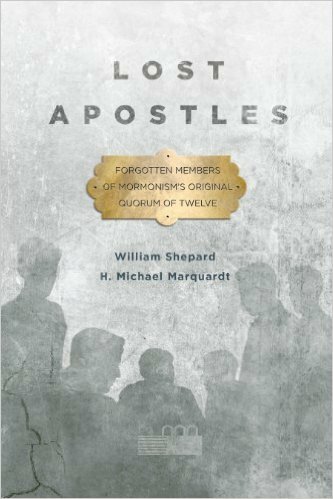 What Exactly Is the Job Of The Twelve Apostles, Anyway? This brings us full circle. You'll note that Joseph Fielding Smith just got through telling us that missionaries pay their own way "because they have an abiding testimony of the divinity of the work the Church requires of them." Yet isn't it true that the Twelve Apostles are called to be the missionaries for the whole church? If so, then why are they helping themselves to a salary from the Church treasury? It's because they're being disobedient. That's why. Readers of my previous blog post will recall that the Twelve apostles never had the authority to take charge and control the government of the Church. Until only a few years ago, we did not have access to the documents that refuted their claims to power. We had relied primarily on the faulty memory of Wilford Woodruff who asserted, forty years after Joseph's death, that before he died Joseph Smith had ordained the Twelve apostles and given them his complete authority to run the church. Even though that claim ran counter to the divine revelation given in D&C 107, and even if Joseph Smith had wanted to pass on his authority to the Twelve, he would have been acting contrary to the word of God, that unsupported claim has become the narrative the modern Quorum of the Twelve relies on for its authority to this day. 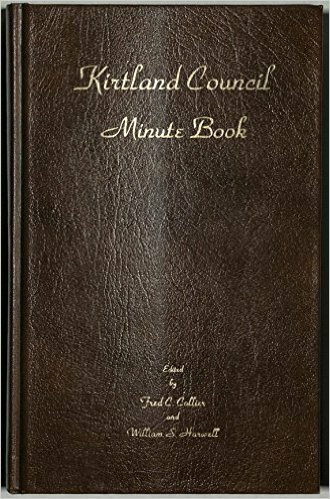 But because we now have the minutes of the meetings of the Council of Fifty, we can see that Brigham Young explicitly denied that any ordination giving the twelve apostles "the keys of the kingdom" had ever taken place. From here on I'm going to confine this discussion about financial compensation to the twelve apostles of the church. Why? Because for one thing, the Lord tells us in D&C 119 that one of the reasons we are tithed is to pay the debts of the presidency of the Church. You may argue that verse 2 was referring only to the debts incurred by Joseph Smith and Sidney Rigdon at that particular time, and was not intended to furnish a regular salary to Thomas Monson and his counselors. And you may be right. But I'm not going niggle about that because that argument doesn't interest me. If the Saints were okay with giving President Kimball a decent house to live in, I won't quibble. And if the only pay stubs we saw of Henry Eyring had been those reflecting wages he receives today as counselor to the president of the Church, I wouldn't be holding this conversation; because like I said, it's possible members of the First Presidency are entitled to dip into the treasury for their support. The thing that concerns me about Eyring's pay stubs from the year 2000 is they reflect payments he received as an ostensible Apostle of the Lord, and it is the propriety of salaries paid to apostles that we should be mainly concerned about, because any payment to the Twelve violates the direct instruction God gave to those men. Therefore, the only question I wish to entertain today is this one: Should members of the Quorum of the Twelve Apostles be paid a regular salary out of the treasury of the church? My answer to that question is no. But it may surprise you to learn that I strongly believe the Twelve have every expectation of being supported financially by the church. They just shouldn't be paid. And I'll explain what I mean by that in a minute. By the way, did you ever wonder why, whenever someone accuses the Brethren of extravagant living, Church PR trots out a picture of President Kimball's modest-looking house in an attempt to refute the charge? President Kimball died way back in 1985, so why bring up his living quarters? Why aren't we shown pictures of the homes of the modern apostles, those undeniably posh ones located within exclusive gated communities? And how about all those vacation homes the Church provides its apostles at no cost in Utah's resort areas? Or the downtown condos? Why does the PR department of the Church keep quiet about all those? 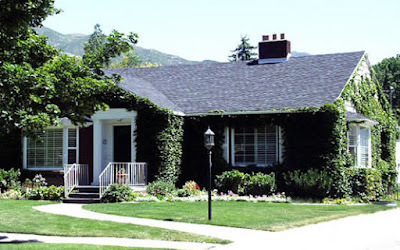 This is Spencer Kimball's modest house. He was president of the church. This is the entrance to the driveway of Boyd K. Packer's Home. He was only an apostle. Now don't get me wrong. I have nothing against people accumulating nice homes and nice things. I'm a free market advocate, so I believe anyone has the right to become as rich as he wants to. I intended to become wealthy myself; I just took a wrong turn somewhere. So I want it known that I'm not coming from a place of jealousy or envy here. I'm interested strictly in the doctrines of the church as promulgated by Jesus Christ, and whether those doctrines are being properly adhered to by our leaders. So the apostles weren't guaranteed any kind of salary, but they were promised that while they were engaged in the work Jesus sent them forth to do, they would be given food, clothes, and money. They just didn't know where it would come from, when it would come, or how much it would be. That's called "living by faith." It's certainly much nicer if you know how much you actually have coming in each month. At least you know how much money you'll have to live on. So it's easy to understand how it came to be that at some point in their history, our modern apostles decided to pay themselves a set base salary out of the treasury of the Church. Helps take the stress off. But that doesn't seem to be the system God prefers to work in. He seems to prefer the element of surprise when it comes to the support of those serving Him. When you read the accounts of the early apostles, you find, again and again, examples of God placing a prompting on the hearts of strangers who came to the financial aid of His messengers, often just in the nick of time. The early Saints who toiled in God's vineyard never got rich, but they somehow received sufficient for their needs. Why does God require that kind of faith from some people and not from others? I really couldn't tell you. But I can state from first hand experience that living by faith can be utterly terrifying. At first, anyway. Maybe He requires it because He just wants us to learn to trust Him, as the initial fear and terror we feel from the insecurity of not knowing eventually gives way to the firm knowledge that God is in control. That revelation in section 84 is chockfull of information as to the duties of the apostles. When you read it you'll probably be struck by how different the role of the apostles in the early church seems from the functions the Twelve perform in the church today. Could those differences have anything to do with the fact that the apostles today are not forced to live by faith? Things sure have changed. We shouldn't wonder where the Twelve got the chutzpah to pay themselves comfortable salaries out of the Church's coffers; after all, who's going to stand in their way? There is no High Council at the Church Office Building in Salt Lake City asking the twelve apostles, "What the hell are you guys doing here?" 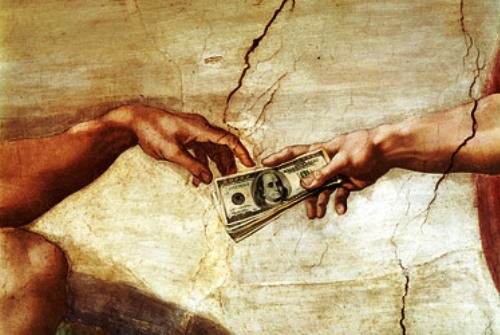 What's So Bad About A Paid Ministry? 2. Do so without any expectation of getting paid. You may well ask, "Rock, are you saying the Twelve Apostles will be damned simply for paying themselves a modest stipend out of the windfall their investments have garnered over the years due to their careful management of Church finances?" Well, that does seem kind of harsh. So no, I'm not sayin' nothin'. It just seems to me that two elements are in play in those two verses. First, the leaders of the church are to govern themselves according to scripture; and second, if they govern themselves in some manner other than the way scripture dictates, it could be a problem for them. And I just thought of a third: it's possible that if the members continue to support and sustain the leaders when they are acting contrary to scripture, they may be heaping condemnation on their own heads as well. Could be. I don't really know. We are told Nehor was an antichrist, which is one of the meanest things you can say about a person. Yet when we look at the Church of Jesus Christ of Latter-day Saints today, it would appear Nehor's proposals have been widely adopted. The leaders of the LDS Church do get paid, and the members treat them like celebrities. So with no food or money, what were they supposed to live on? "You shall live by every word that proceedeth forth from the mouth of God," Jesus told them, which they probably didn't think was very funny at the time. "The church shall give unto thee in the very hour what thou needest for food and for raiment, and for shoes and for money, and for scrip." The church will give them what they need? Does this mean it's okay for the Twelve Apostles to get paid out of the treasury of the church after all? It is perfectly appropriate for God's people to support the apostles in their legitimate labors. This is in keeping with the requirement that the apostles live by faith. Because although some members of the church (not all) may have the burden placed on their hearts by God to lend support to the Twelve in their labors, the Twelve would have no way of knowing from month to month exactly who would be contributing, or precisely how much. Although the apostles should expect to be supported by "the church," (i.e. the members), they are decidedly not authorized to pay themselves out of the treasury; and they certainly aren't authorized to award themselves a set, guaranteed salary, complete with cost-of-living increases. Again, if it was okay for the apostles to be paid out of the treasury, the Lord would have told them directly, and instructed the members to see it got done. Let's not forget that the letter to Bruce Porter informing him of the raise he and his fellow general authorities would be getting refers only to their base pay. We don't even know what additional perks are awarded our dear leaders in addition to that base. Certainly we know that in addition to their base salary, the corporate Church(TM) provides them with nice homes, nice second homes, nice cars, chauffeurs on call for the top 15, and many other amenities. They are also provided first class travel accommodations, including airfare and hotels wherever they go. The Twelve Apostles have personal use of Church credit cards which they use for restaurant meals, and who knows what else, because confidential sources within the bowels of the Church Office Building have claimed the GAs have unlimited use of those cards with no auditing or supervision. There is one thing all members can be thankful for now that we know what the leader's base pay is. Since tithing to the Church is to be paid from the surplus remaining after one's basic needs are met, many members are not confident in their ability to figure out exactly how much is a reasonable amount of money to claim for basic necessities. They want the Church to tell them. This letter from the Presiding Bishopric seems to answer that question. Church leaders apparently feel it requires a minimum of $120,000.00 a year to cover a family's basic needs. So now you know that anything you might earn over the amount our leaders have established as the minimum would be the money you would pay your tithing on. They will rightfully point out "that part of his message" was not part of his message. On the other hand, in the 1931 endowments, the preacher was offered $4000 per year by Lucifer to convert the initiates and their posterity, which he complained was small, or modest. $120,000 in 2014 dollars is roughly double that, accounting for inflation. Lucifer--"Well, if you'll preach your gospel to this congregation and convert them, mind you, I'll give you--let me see--four thousand a year." Preacher--"That is very little, but I'll do the best I can." Also, Rock, do you know when the Q12 + FP voted themselves a salary? The high council of the modern Mormon church needs to be established , how can we start it? Again going to the Book of Mormon with King Benjamin stating he never asked others to pay his way that he worked for his own keep, makes this all the more distasteful to discover. These men are modern day con men. Well isn't it obvious? Thr top 15 and the Q70 are not clergy. The 'clergy' of the church are the bishops and stake presidents each one of which labours long and hard and doesn't receive a cent. They have to fight to be reimbursed for legitimate expenses(most don't even bother to claim.) I was a bishop and served faithfully despite health and family issues and paid a full (gross) tithe on income I earned by travelling extensively around the country as a computer software trainer. I never made a single claim for any legitimate expense I incurred doing my calling as a bishop. I would have appreciated at least car expenses for the many thousands of miles I clocked up in my car travelling the length and breadth of the ward visiting and ministering to the over 1,000 members I had on the rolls. Unfortunately, there is no provision for vehicle expenses as such ministry work is not considered 'official church business. 'The real clergy of the church are genuinely unpaid, worn out and browned off. My son was assigned to work in the office of his mission president for several months at his assigned mission. He was over the finances and responsible for issuing reimbursement checks for expenses incurred by missionaries and the mission president and his wife. Not only was his mission president one of the wealthiest men in the United States, but my son issued reimbursements checks to the mission president for cable tv and going to expensive restaurants for dinner. We couldn't afford to send our son on his mission, so some generous ward members and anonymous donors footed that bill for us. I wonder how many faithful contributors to the missionary fund realize that they are paying for cable tv and steak and lobster for millionaires. I believe D. Michael Quinn has a chapter on Church finances in his book Mormon Hierarchy: Extensions of Power. I'll have to find my copy and see if he pinpoints when the leaders first voted themselves a salary. I seem to recall there were several fits and starts when they tried to grant themselves some money. My guess, however, is that we don't really know the answer to your question because the very fact that they receive anything has always been a very closely guarded secret. Quinn has a third volume in the works for a very long time, and expected to finally ship in February. I paid for it in advance a good two years ago, and it's a good thing, too, because I wouldn't be able to afford it now. That one should have some really doozies of revelations in it. Probably one reason printing has been postponed so many times is there have just been too much new stuff come forward and he wanted to get it all in. Elder Oaks statements in "Lying" are reminiscent of William Jefferson Clinton's famous remarks about what the definition of "is" is. I read the Salt Lake article. Some woman stated,"A Methodist pastor of a middle-class congregation in the Midwest, is paid a $138,000 base salary plus a parsonage allowance." I know a Pastor of a middle class non-denominational church in Southern Idaho living in poverty with a 3 children who makes $30,000 a year. But they live this way with love in their heart for Jesus. I call BS for the $138,000 defense. Fabulous as usual. It is going to be interesting when all the RM's who paid their own way to serve JESUS end up better off than the GA's who fared sumptuously when neglecting their duty to the poor. Joseph Fielding Smith died with 496,262 dollars in liquid assets. That would be 2,849,434 in 2016 dollars. But Rock, tsk, tsk, tsk, D. Michael Quinn can't be trusted. He was exed......wait.......so were you. Let me see what lds.org says, so I can find the "truth". Spot on once again Rock. I'm amazed you can find the truth now days with the spirit removed by men. I should like to add, parenthetically for your information, that the living allowances given the General Authorities, which are very modest in comparison with executive compensation in industry and the professions, come from this business income and not from the tithing of the people. I believe that the scriptures answer far more questions than we give them credit for. I believe that the scriptures assist us in knowing the difference between what is right and what is wrong. For example, when the scriptures teach us that we should not steal, I believe that is true. There is a great lesson taught in Jacob 7. Sherem went around teaching false doctrine. Jacob confounded him, but one of the more interesting verses is 23 where the people searched the scriptures and by searching the scriptures, there were able to understand correct doctrine so that the people no longer hearkened to Sherem's words. I believe we can all learn from the scriptures what it is that God wants us to do. The scriptures are the standard. Everything must conform to them. When I was a youth in church, we were taught the 17 points of the true church. I still have the piece of paper in my scriptures. All of the verses are from the bible. It's so old that it was typed on a typewriter. #6 on that list says "The true church must have no paid ministry. Isa 45:13, 1 Peter 5:2"
I understand that sone don't see a problem with our church leaders getting paid $120,000 per year. The article from the Salt Lake Tribune says there are 109 leaders making $120,000 / year which is over $13,000,000 per year in church salaries to its leaders. Throughout my life, I've been taught that no one gets paid in the church. Everyone serves for free. As a missionary, I taught the people that we have no paid ministers in our church and that was evidence that we had the "true church". I always thought that you had to sacrifice to serve. That is why you pay for your own mission. You sacrifice to serve others like Christ sacrificed for us. He is the example. Review the Lectures on Faith for that. I find nothing in the New Testament about Christ getting paid to preach. In fact, there is a verse that says Christ had nowhere to lay his head. Some believe that means the Lord was homeless. (Matthew 8:20). Not only does the bible teach that we should not get paid as a minister of Christ, but the Book of Mormon does as well. I want you to compare getting a $10,000/month salary (as shown from the church's own letter) to what Alma got in the Book of Mormon -- nothing for preaching (Alma 30:33). Alma said he never even received a senine for his labor. Remember a senine was a day's pay for a judge (Alma 11:3). King Benjamin even worked with his own hands so that the people wouldn't be taxed. (Mosiah 2:14). In other words, the Book of Mormon model and the Bible say that there should be no paid ministers. In the Lord's true church, you don't get paid to preach the gospel. Nehor taught that priests should not labor with their hand but that they should be supported by the people (Alma 1:3). In fact, Nehor taught that church leaders should be famous and shouldn't have to work for money. Alma condemned getting paid to preach. Alma called that priestcraft. (Alma 1:12). Joseph Smith taught that church service should not be paid. D&C 52:39-40 states that they should "labor with their own hands that there be no idolatry nor wickedness practised." When you don't have to work, people idolize them and treat them as better or more important than the common people. Finally, in the temple endowment (prior to the changes in 1990), there was a false preacher or false minister that Satan employed. One way you knew he was false was because he was paid to preach. If you can remember back to the prior ordinances you will recall that this is indeed true. I also considered the words of the Church's Public Relations representative who called it a "living allowance" and that the monies were from "investments" and not tithing. The Lord I believe addressed this in the parable of the talents. Matthew 25:14–30. Where did the money come from to make investments? Tithing. And, according to the parable, it all belongs to the Lord. The interest is his and the investments are his. It all belongs to Him. As an apostle (not within the Mainstream Monsonite church) I have traveled without purse or scrip on my mission labors. I can testify that to live by faith is sanctifying and powerful. The Lord does indeed support his legally authorized servants, but not in the way of the world. Without the sanctification that comes from exact obedience to God's word (in the scriptures, not the commandments of men) it is impossible to become sanctified. Without that, it is impossible to come into the presence of God. As such no true apostle can possibly live up to his calling without living by every word the proceedeth from the mouth of God. Without this sacrifice, we cannot come into the presence of God, which is the primary duty of an apostle: to be a witness of him in all the world. A witness requires a personal theophany. Without seeing Him for yourself, what kind of testimony can you give the world that he lives? Only the same as given by other christian churches, a mere statement of belief. But knowing comes by obedience, and real knowledge. It is now clear why "the Preacher" had to be removed from the Temple Endowment. The preacher today does not wear the dog collar of a minister of the protestant or Catholic Church. Today the preacher wears a very expensive suit, white Shirt, and tie. The preacher(s) that Lucifer employs are none other than the general authorities. I remember hearing Hinckley say that they were paid but it was far below that of what a CEO would be paid for running a corporation. Well, I suppose that is true because the Church is a billion dollar organization. But they still are breaking the commandments of God. As for their condemnation. Yes Rock the scriptures in Isaiah and Ezekiel tell us that they are all going to hell. You don't have to cut them any slack. They are leading the members down to hell as well because of their apostasy. Keep up the good work Rock - you are exposing these frauds for who they truly are. Fascinating essay. I think you nailed key issues that don't easily register for mainstream believers. Coincidentally, last week I published an image that could have been an illustration for your post. A religion is supposed to help people become more advanced and happy creative beings. All religions are either headed in the direction of helping people fulfill their potential or they exist for some other purpose. The phariesees thought they could do no wrong. We are Moses' disciples was their answer. Everyone should ask themselves what is their work and glory to bring to pass? To be honest I don't care how the twelve answer that question. It is more important how I answer that question. I have trials to deal with. They have to ask themselves if they are passed their trial. Pride goes before the fall. Is it 100 percent the members fault why membership is declining? It is for them to answer. People stay in a religion because Return is greater than Investment. When good people are feeling like they are putting a lot investment in and they are getting less and less out, watch out. i read an interesting thread at another site in which all the TBMs declared $120,000/year isn't really rich, so we shouldn't be bothered by it. tell that to our brothers and sisters living on $2/day. What if they're all living consecration? That they've created a pool of all their funds and property and they have enough to share equally? That they live a higher law? That's what I've been told when I bring this up. I think there is a of misconception floating about. The apostles are not paid to preach (like the minister in the pre-1990 endowment). They are paid to administer the affairs of the church. This issue is whether that is ok or not. But the claim that they are paid to preach is false. 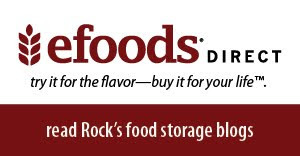 On another issue, which has been ongoing for some time, Rock has finally ensured that he can no longer justify his "Area Seventy's are GA's" position. Given that both Rock and the church acknowledge that GA's are paid, and that area seventy's are not (they serve for 5 years and maintain regular employment during this time - just like a bishop or stake president), his possition can finally be seen to be unsustainable.... and by his own words! I knew he'd drop a clanger eventually. I don't expect an apology or even an ackowledgement though; he's not that kind of guy. He commandeth that there shall be no priestcrafts. but they seek not the welfare of Zion. Behold, the Lord hath forbidden this thing. that all men should have charity, which charity is love. And except they should have charity, they were nothing. they would not suffer the laborer in Zion to perish. for if they labor for money they shall perish. Notice how this accords with what Rock has rehearsed concerning the scriptural upkeep of the apostles? "20 And the Gentiles are lifted up in the pride of their eyes, and have stumbled, because of the greatness of their stumbling block, that they have built up many churches; nevertheless, they put down the power and miracles of God, and preach up unto themselves their own wisdom and their own learning, that they may get gain and grind upon the face of the poor." "32 What shall then answer the messengers of the nations? That the Lord hath founded Zion, and the poor of his people shall trust in it." So, Robin Hood, your position is now that they only are GAs who are committing priestcraft? And if they commit no priestcraft, they are not GAs? I'm sure, of course, you'd omit CES employees from the list of GAs, so clearly priestcraft alone is insufficient to mark a GA. Priestcraft, it seems, is necessary, but not sufficient. A paid minister is paid to administer. A paid pastor is a shepherd who is paid. Priestcraft is the age-old practice of getting a salary for one's service, or ministry, in the Church. Isn't John 21 applicable to this same situation. Shortly after the risen Lord had appeared to his disciples again, Peter decided to go fishing. According to verse 2 there were 6 other disciples with Peter who all decided to go fishing. This was completely natural for Peter, James and John. It was their livelihood before being called of the Lord to follow Him. He was now gone and they returned to what they knew and understood. While out fishing, the Lord returns to them again, calling out to them from the shoreline asking if they had any meat. Having been unsuccessful in their attempts, He told them to "Cast the net on the right side of the ship, and ye shall find." (v 6) After drawing in a massive catch, the disciples make their way back to shore realizing it was the Savior who had been calling out to them. Peter jumps in and swims to shore to be with the Lord with the others following in the little ship. They arrive to find that Jesus had prepared a fire and a meal of fish and bread for the disciples. No mention of how He got the food or what preparations He made, just a simple statement showing that Jesus had provided for them. Starting with vs 10, we see an interesting exchange between Peter and Jesus. After the miracle of the catch, after showing all 153 fish to the Lord, after the fire and meal, then the Savior asks "Simon, son of Jonas, lovest thou me more than these?" In my mind, I see the Savior asking Peter if he loved the Lord more than these fish, more than his livelihood as a fisherman, more than anything else. Peter anxiously answered in the affirmative, but the Lord repeated the question another two times which perplexed Peter. After Peter's response that indeed he did love the Lord, he was told feed my lambs, feed my sheep, feed my sheep. I believe the Lord was gently guiding these disciples to understand that now was the time to forsake all things and do the work He had given them. He taught them that He would provide for them and that their only focus should be to feed (teach) the followers and not worry about the day to day things that life and business demand. Has He changed His mind on what He wants His disciples to focus on? Priestcraft, it seems, is a known problem for the paid ministry. You need to check up on the scriptural meaning of "priestcraft". I don't need to be in this casse. Rock knows he's wrong, "quoted" me in his book, and refused to admit his fault when it was made clear to him because he didn't want to appear wrong in front of all his sycophants. But he has now proved himself wrong with his own words. But like I said, he won't acknowledge his error nor apologise. I have learned that about him. Since your position is that they only are GAs who at least commit priestcraft, perhaps you would be so kind as to complete the definition you have in mind for what a GA is. You have gloated over Rock in noting that the "Area" 70s are not committing priestcraft like unto the others whom you esteem GAs. Are you the kind to retract your gloating? So what other ingredients besides priestcraft makes a GA to you? What goes in #2? 24 No man can serve two masters; for either he will hate the one and love the other, or else he will hold to the one and despise the other. Ye cannot serve God and Mammon. 25 And now it came to pass that when Jesus had spoken these words he looked upon the twelve whom he had chosen, and said unto them: Remember the words which I have spoken. For behold, ye are they whom I have chosen to minister unto this people. Therefore I say unto you, take no thought for your life, what ye shall eat, or what ye shall drink; nor yet for your body, what ye shall put on. Is not the life more than meat, and the body than raiment? 33 But seek ye first the kingdom of God and his righteousness, and all these things shall be added unto you. You know, I get to wondering about GBH's definition of "extensive" though. It seems to me like the paid ministry - the priestcrafters - might be kinda extensive anyways. We have paid ministers who, note well, carefully disclaim that they are paid specifically to preach, yet preach they do - GAs, Mission Presidents. We have paid ministers who, note well, are paid precisely to preach - CES instructors / institute directors, and the like. Is it not the case missionaries are supported in part by Church stipends? You'll note that the definition of priestcraft doesn't include necessarily preaching for hire. Check: go look up "follow the Brethren" and "follow the prophet" on LDS.org. Check: any talk on tithing; any PR release on Church humanitarian efforts, meetings with world leaders, and so on. Check: the city of Zion is nowhere to be seen on this earth, therefore whatever they're working on benefitting - seeking the welfare of - is not the city of Zion. And since it is actively preached that perfection is impossible, neither can it be claimed they are seeking the welfare of the "pure in heart," who also do not exist on this earth. I wonder if there is some scripture somewhere that might justify being a paid minister. It was never a shock to find this stuff all out... we all knew/had a feeling. But this post breaks my fricking heart. I'ts really sinking in now. My sister pays her tithing....she's 16 and thinks that money is going to God. My parents have paid tithing their whole lives. It's so hard to not be bitter towards the leaders of the LDS church. I hate this. False doctrine is one thing; but priestcraft is another. why have ye built up churches unto yourselves to get gain? that ye might bring damnation upon your souls? when all these things must be fulfilled. at that day when these things shall come forth among you. and I know your doing. and all manner of iniquities. because of the pride of your hearts. more than ye love the poor and the needy, the sick and the afflicted. than that misery which never dies? Because of the praise of the world? and the sick and the afflicted to pass by you and notice them not? to cry unto the Lord from the ground for vengeance upon your heads? for he will not suffer their cries any longer. Rock, the topic aside, I just want to compliment you on your spelling, grammar, and punctuation. Your posts are long and complicated, yet I don't think I've ever found a mistake. I happen to know that such accuracy requires a lot of proof-reading, which, after the third or fourth time becomes tedious, frustrating - and thus hard - work. So what do you do then, when you've been convinced by the available evidence that the church has essentially apostatized and become a money-hungry corporation? What's the correct response? Leave the church? Go find another denomination, one that believes in the ridiculous assertions of the Nicene Creed? Just become inactive? How do you treat that? Because I am lost. And my wife is lost. Where do you go once you've determined that God's church is not on the earth, the men at the top are liars, and there's no chance of changing it? Here's what you do: you accept the Lord's invitation to his discipleship. 20 ¶And he lifted up his eyes on his disciples, and said, Blessed be ye poor: for yours is the kingdom of God. 22 Blessed are ye, when men shall hate you, and when they shall separate you from their company, and shall reproach you, and cast out your name as evil, for the Son of man’s sake. 41 And why beholdest thou the mote that is in thy brother’s eye, but perceivest not the beam that is in thine own eye? 42 Either how canst thou say to thy brother, Brother, let me pull out the mote that is in thine eye, when thou thyself beholdest not the beam that is in thine own eye? Thou hypocrite, cast out first the beam out of thine own eye, and then shalt thou see clearly to pull out the mote that is in thy brother’s eye. From the rock imagery in Matthew 16:18, we see that the Lord is in part saying that those who come to him, hear his sayings, and do them are his disciples, and are his church; those who hear and do not do his sayings are not his disciples and not his church. The invitation to his discipleship is then to do what the Lord has commanded: give to every man that asks; lend to all comers hoping to not be paid back again; turn the other cheek; judge not, and so on. 15 ¶If ye love me, keep my commandments. 24 He that loveth me not keepeth not my sayings: and the word which ye hear is not mine, but the Father’s which sent me. Some choose to find congregations of like-mined folks, who meet together in a less formal environment. So far, I have not regularly attended any of those groups, but the times I did I felt welcomed and supported. Also, since the discussions aren't correlated, they tend to be more lively and spiritual. Some look to Denver Snuffer, some to the RLDS church, some to various other organizations. Personally, I tend to read the scriptures and seek to come to my own understanding of the gospel. Rock's articles have really helped supply a starting point for me to build from, but you will need to form your own ideas about what it means to come unto Christ. I haven't asked to remove my records from the Church, but if the church decided to throw me out, I don't think it would bother me too much as I feel pretty much estranged. My wife is a TBM and I promised her that while I searched I wouldn't seek to embarrass her. I'm in no hurry. It is harder for her than it is for me. My family are aware of my feelings, and although they disagree, they've actually been pretty good about it. My children also are aware, but I only bring it up if they want to talk about it. I try to be open about it with everyone, but I don't try to convert them to my way of thinking. We have one child left who may want to serve a mission. If she does, I will support her financially. Perhaps that is to my condemnation, but I think the experience is a net benefit for young people in any case. PS. Rock I'm actually surprised that the number was so low. Of course, that was just the base salary. When you realize that does not include housing or travel, etc. you are probably getting closer to 200k per year. Then when you recognize that all of that income is excluded from state and federal taxation you need to add another 25% to that number. While President Kimball's home "looks" modest, it is located in one of the most prestigious neighborhoods in Salt lake City called the Harvard/Yale area. The home would easily sell for over a half a million dollars. He lived in two different houses in the Harvard/Yale area during his lifetime. One was a two-story brick Tudor at 1000 Military Drive, with a large peaked roof on the south end of the house resting over a series of narrow, rectangular leaded windows. The other was a one-story 3,200 square foot brick home at 2028 Laird Drive, built in 1947. His residency on Laird Drive was during his service as President of the LDS Church. Here is a link to see more of the apostles home that live in this extremely upscale neighborhood. I was rather amused by what Robinhood said about the apostles are not paid to preach. I guess he really doesn’t understand too much about what is against the commandments of God. So I found a scripture that applies specifically to him. This one is found in Ezekiel 13:10-16. The entire chapter is about our false prophets. This chapter is a prophecy against the Church today or Ephraim. The reason I know this is about our prophets and not the ancient false prophets is because Ezekiel called them the false prophets of Israel. That term Israel was used anciently to specifically mean Ephraim. So this prophecy is directed at us. Israel or Ephraim was long gone at 600bc when Ezekiel lived having been carried away captive into Assyria. These verses are directed at those who whitewash a flimsy wall. Our false prophets have built a flimsy wall. What they have really done is weakened the wall that Joseph Smith built through revelation. Our leaders have changed many of the doctrines and ordinances of the gospel such as NO Paid ministry. Then when someone like Rocks points it out here comes along Robinhood who doesn’t understand very much and whitewashes the wall and makes it all pretty. We are supposed to believe his nonsense and accept the apostasy. But here is what the Lord says to Robinhood and others in the Church like him who are the whitewashers. Vs 15 I will spend my wrath against the wall and against the ones who covered it with whitewash, and I will say to you, The wall is gone and the ones who whitewashed it are gone. If I were one of the whitewashers I would be shaking in my boots knowing the Lord is angry and won’t put up with your nonsense. Here are the verses directly specifically at the members who are whitewashing everything the leaders of the Church do. 11. Therefore, tell those who cover it with whitewash that it is going to fall. Rain will come in torrents and I will send hailstones falling down and violent wind will burst forth. 12. When the wall collapses, will the people not ask you, Where is the whitewash with which you covered it? 13. Therefore this is what the sovereign Lord says. I will surely send violent wind in my wrath, and torrents of rain in my anger. Hailstones will fall with destructive fury. 14. I will tear down the wall that you covered with whitewash and level it to the ground so that its foundation will be exposed. When it falls, you will be destroyed in it and you will know that I am the Lord. 16. The prophets of Israel who were prophesying to Jerusalem and the ones seeing visions for her; visions of peace when there was no peace, declares the sovereign Lord. I think you are wrong. I disagree. I love listening to general authorities. I the read story Elder Dale G. Renlund told about his parents and grandparents in the Ensign. It mean't a lot to me. Elder Renlund didn't become an apostle for money. He was a heart doctor. He worked on my brother's heart transplant. I want him supported enough so that he can do his church work and not worry about his family finances. I am not going to debate the issue with you. I just don't think you are right. You may debate it if you like. These were my exact words a few months ago. To each their own, but my wife and I feel, so far, that the Lord wants us to stay with the church, but humbly and quietly live the gospel according to the scriptures, as a way of setting an example. It might get us in trouble, but we'll go down that road when we get to it. With all due respect, it doesn't matter what you "think", it matters what God has commanded. If you thought it was no big deal for the apostles to worship a golden calf, that wouldn't change the fact that God has clearly commanded that they shouldn't. I know you think the point you are making is very profound, and somehow puts an asterisk on this issue, and I'll continue to let you bask in its glory, because that seems to be your main motivation. Excellent post. I know I've been a thorn in your side recently over the Denver Snuffer issue, but you really nailed it on this one. Being paid to preach and tend to the affairs of the church is absolutely priest-craft. As you pointed out the scriptures do allow for preachers of the gospel to be supported by the people when necessary. In cases where they are destitute and don't have the basic necessities of life they absolutely have the right to receive help from the tithes and offerings of the church, just like any other member would. In such a case it would not be priest-craft. Same thing goes for the support they receive while out in the mission field laboring without purse or scrip. It is interesting to note that the ancient apostle Paul continued to labor at his trade as a tent maker while on his missionary journeys so as not to be a burden on the saints. I don't think anyone can argue that his work as an apostle and missionary was any lighter than what the current 12 in the church are called to do. The fact that the GAs are being paid a minimum salary of at least 120K a year, plus lots of other perks, just can't be justified in any way, shape, or form. First of all 120K a year is WAY more than is required to meet the basic necessities of life. That is living a lavish life. Especially considering that most of them where already wealthy to begin with and could easily support themselves for many years without additional income. It really boggles the mind that they receive so much money. It's especially disheartening that the brethren obviously know that being paid is at the very least the appearance of evil, because they have been so secretive about it. If there was nothing to hide and everything was on the up and up, their salaries would have been common knowledge all along. There is one angle that you kind missed in your post though. I know that back in the day the brethren were paid to sit on boards running the church's businesses, almost like CEOs or other chief officers of corporations. I'm not sure exactly when this practice was stopped. I want to say it was in the 1970s or 80s. In any event if this was still the case when Boyd K. Packer said what he said he wasn't straight up lying. I believe that this concept of the brethren working as chief officers in the church's businesses is how they justify their income. One might even say that this is their trade that they do on the side of the church calling. It's all a little complicated and murky. I think it all comes down to the fact that most LDS from top to bottom have become obsessed with wealth and prosperity. They try to serve God and Mammon and that just doesn't work. One can't keep the commandments of God and be successful in business these days. Compromises have to be made, and often are. The church has employees that work on the Sabbath for example. This is 100% against the commandments to have someone who works for you work on the Sabbath. It can't be justified in any way. If the brethren are in fact true apostles and the Lord's servants then they should be setting an example of modest living and self denial, not lavish living and self justification. It just goes to show that the church is off the rails. As the apostle Paul said in one of his letters to Timothy, "the love of money is the root of all evil and causes people to err from the faith." If these paid church leaders followed Christ and served for free, think of how many single mothers in each ward thru out the world could be far better supported. What kind of 'able bodied man' gets in the gravy line before the needy (and takes a huge share of it), let alone before women and children? Christ taught us to give all our extra $ directly to the needy and build 'them' up, not to give it to churches and leaders and build them up instead, for this is what happens as we see today in the Church. You go back to Christ. He never intended to start a physical church with mortal leaders, but instead warned against following or supporting such, for he knew how fallible and often unknowingly wrong and deceived even the best of men are. He taught us to beware of so called 'prophets', especially those who preach or practice contrary to his commandments, like Joseph and all LDS prophets since him have. Christ taught we will know his true disciples and prophets for they will keep all his commandments. Such a person has always been very rare and wouldn't be following or trusting imperfect leaders. Christ said to only follow him, for only he was perfect and wouldn't led us astray. Just go back to the beginning, to Christ and re-evaluate everything you ever learned or were taught and 'prove all things by facts' like Christ taught, not by feelings like churches teach, but by comparing everything (even our own revelation) to Christ's clear commandments in the 4 Gospels of the NT, to make sure it doesn't differ. He taught a very simple pure Gospel that even his Apostles were not to add to or take away from, but only to go around sharing his exact words. That's all we need in order to do what's right, is just follow Christ on our own, as a family, in our own homes. Churches and false prophets usually preach a lot of truth and do much good and make us feel warm and fuzzy, but they almost always lead us astray on many things also, no matter how sincere they may be, and they ask for money we should be giving directly to the needy. If we want to discuss the Gospel or sing and pray with others we can meet humbly in our homes with friends and family, etc, how the early Saints in Christ's day did. We don't need spacious temples or chapels to get God to hear us. After helping the needy as Christ taught, we see there is no money left for such unnecessary things anyway. This way we can think and act for ourselves and follow Christ as he taught us to and give all our extra money directly to the needy around us that we personally know and visit and take care of ourselves, so we ourselves learn and grow and become perfected. For helping the needy is how we perfect ourselves, not by going to Church or following prophets. You have done what you do best, twist my words and spin your interpretation. I claim Area Seventy's are not GA's because they have no general jurisdiction of the whole church and are given a local remit. The church regards them as a separate category to GA's. They are part-time and have ordinary employment just like a bishop, SP, ward mission leader etc. I therefore maintain that they are not GA's. Rock claimed that ALL GA's are paid. As Area Seventy's are not paid he has proved from his own words that they are not GA's. It was a good idea to come up with this topic. These GA's . . . We like to talk about and pray for our blessings, do we not? Have we not, as a people, fallen into this trap, thinking that being wealthy is a blessing from God? This post is'nt all about money, of course. It exposes the general and systematic pattern to change the ordinances and the laws of the Kingdom, that we have to be aware of and for which we have been warned. Talking about possible consequenses of this reported perversing of the right way of the Lord, in the modern church, I read in the text “I just thought of a third: it's possible that if the members continue to support and sustain the leaders when they are acting contrary to scripture, they may be heaping condemnation on their own heads as well”. It is, in my opinion, what we are dealing with in the first place, in this context, as it concerns our salvation, for which we are responsible, and nobody else. That is where this blog comes in, and that is why I like every monthly essay of it: to give us severe warning not to fall into the ditch together and not to be these “who are honorable men of the earth, who were blinded by the craftiness of men”. That is Doctrine and Covenats section 76 vers 75, and it talks about the people who will inhabit the Terrestrial Kingdom. The closing thought is interesting. Thanks for this post. Also very good comments as usual. Where did Rock claim *all GAs are paid*? In the interest of accuracy I do have to note that the statement "the General Authorities receive ... a salary" does appear in the post. So because Rock said, once, that Area Seventies were General Authorities because he relied upon older documentation and scripture whilst the Church had innovated and created an "Area" level of authority which Robin Hood knew about and Rock did not, therefore Robin Hood has disproved Rock and won every argument ever. So, even while it is publicly acknowledged by the Church that General Authorities, as such, are paid ministers - with all the temple implications that carries - and thus commit priestcraft by common definition as well as scriptural, Rock's error in failing to give proper deference to Robin Hood's superior knowledge of Church organization is all that matters. Just as the public revelation that the Q12's claim to ultimate authority over the Church is baseless, Rock's error in failing to give proper deference to Robin Hood's superior knowledge of Church organization is all that matters. Now, while to some this may seem to be straining at a gnat on Robin Hood's part, while swallowing the camel of the truth of the Church's claims to authority, you just don't understand what's important: Area Seventies are not considered by the Church to be General Authorities. This is all that matters. There you go again. Twist and spin. Sounds like a new dance! You are completely wrong. Rock and I had discussed the matter by email. I had furnished him with evidence that Area Seventy's, irrespective of scriptural legitimacy etc, were not regarded by the church as General Authorities. The evidence was straightforward and clear. It was unequivocal. However, this didn't suit Rock's position. He had claimed that his disciplinary council was called by the SP at the behest of a General Authority. He claimed that a GA has no authority to do this, and he was right. However, the man identified by the SP as being the one who instructed him to call Rock in, was an Area Seventy, and there not a GA. This was a problem for Rock, though less of one than he thought. So in order to clear it up he contacted a former Area Seventy in Sweden (Hans Mattson) and dissident from the church to ask him. Mattson confirmed that a Seventy is a Seventy. Well duh! We knew that already; but that wasn't the question. Rock compounded the error by referring to me (though not by name) and including my position in a footnote in his book and quoting Hans Mattson's comment as the final word on the subject! This was very sloppy. Rock knew he was wrong but dug himself in and couldn't bring himself to admit it in front his adoring online fans, such as yourself. You don't know the whole story Log; you haven't seen the emails etc. But I know the truth about this and so does Rock. Until that time I had a great deal of respect for him. I find it impossible to feel that way about him now. Oh Robin Hood! There you go again! I wasn't going to continue to belabor this tired argument, but I admit you irked me by referring to my readers as "fans" and "sycophants." So I guess I'll have to revisit this controversy one final (hopefully) time so we can put this thing to rest. First off, I don't have "fans." I have readers. One of these readers, Log, you continue to harrass, accusing him of not knowing the full story. But he does. He and I converse regularly over the phone on all different theological matters, and your petty quarrel was one I brought up myself the last time he and I spoke. He gets it. You are choking on a gnat. Neither can you see the beam in your own eye. After all the things I have provided in this forum just these past two months proving doctrinally and historically that the leaders of the Church do not have the authority they claim, You are unable to refute any of that in your comments. So instead you continue to insist readers shouldn't trust ANYTHING Rock writes about. Why? Because you and I are unable to come to the conclusion that you are absolutely right on something, and by golly you want a personal, public apology for no reason other than to promote your own superiority. On June 22, 2014, I wrote on this blog that word had come down from Church headquarters instructing my Stake President that he was to give Rock Waterman an ultimatum: Rock was to either stop blogging or resign from the Church. If I refused to stop blogging and did not resign, there was a third alternative: face excommunication from the Church. My bishop informed me that he (the bishop) had been tasked by the stake president with passing on that ultimatum. The way I reported it on my blog was that the ultimatum had come from a general authority of the Church. The focus of that post was to show that according to Church law, disciplinary procedures can only originate within one's stake or branch. I proved, using the scriptures and the teachings of our founding prophet, that no one at Church headquarters is permitted to initiate disciplinary proceedings against a member living within the borders of a stake of Zion. I did not focus the essay on my situation only (I had not yet been expelled at the time I wrote that piece), but gave numerous example showing the corporate Church has been violating that scriptural mandate since at least 1995. I showed how the ultimatum given to me and others contradicted the Church's own spokesmen who had recently insisted "There is no effort to tell local leaders to keep members from blogging or discussing questions online. On the contrary, church leaders have encouraged civil online dialogue..."
Robin Hood submitted a comment on June 23rd correcting my misunderstanding. It read in part, "An Area Seventy is not a general authority and is, in fact, a local church leader. Perhaps not as local as some would like, but that is by the by. He is certainly not 'Church HQ'." I was grateful for the clarification, and immediately went back and corrected my post so it now indicated "an Area Seventy" had issued that ultimatum, and not a general authority. But I was intrigued by Robin Hood's assertion that an Area Seventy was a "local authority." I had never heard or seen this guy before. Indeed, I had never met an Area Seventy in any of the stakes I had ever lived in. So just how "local" are these local authorities, anyway? I was woefully ignorant of the duties of the Seventy, and didn't even know at the time exactly how many quorums there were. My own bishop told me he thinks there are 8 or 9, but he didn't even know which of those quorums "our" particular Area Seventy belonged to. For a "local" church office, most members, including my own bishop, rarely know anything about these guys or have any interaction with them. They are as far removed from us as any Church authority living in Salt Lake City. It turns out there is a good reason for that. While an Area Seventy might reside within the boundaries of a particular stake, he is usually given authority over a very wide region of the country. His responsibilities might be spread over several states or many countries. The chances of a member ever meeting one of these guys, or having any contact with one, is extremely remote. You might have a better chance of shaking hands with Thomas Monson than you do running into your regional rep.
That prompted me to spend the entire night going through nearly a dozen of my Church reference books researching the calling and duties of the Seventies. What I learned was that after the death of Joseph Smith, the office of Seventy was virtually ignored for decades. No one seemed to know what to do with them. For most of the pioneer decades, and leading up to our own time, their purpose has been nebulous, uncertain, and contradictory. In short, the corporate Church seems to have not been sure what they should do with the Seventies, eventually settling on using them as instruments through which individual members of the Twelve conduct the business they wish to have conducted. I contacted Hans Mattson, the only Area Seventy I knew of, who informed me there is no difference in the authority and duties of a member of the first and second Quorums of Seventy (who live and operate out of Salt Lake City), and the remaining six quorums who are scattered throughout the world. They all operate, Brother Mattson informed me, under the direction of the Twelve, and do not initiate any actions of their own accord. I repeated this information to Robin Hood in a series of private emails between us, but he dismissed Mattson's description because Robin Hood considers Hans Mattson an apostate. To my knowledge, no one at Church headquarters has labeled Mattson an apostate, so I was surprised when Robin Hood dismissed him so readily. Mattson asked to be released as an Area Seventy, but he has not denounced his belief in Christ or the gospel of the Restoration, and to my knowledge he has not resigned from the Church. Robin Hood simply did not want to acknowledge the simple statement from a former Area Seventy regarding what the duties of an Area Seventy are. This is curious, because Robin Hood continues to be a one-note-Johnny when it comes to insisting that I apologize to him for not agreeing with his position that an Area Seventy is a "local authority." Yet everywhere I look on official LDS sources describing Area Authorities, they seem to be in a class by themselves. The Church doesn't refer to them as local authorities, they refer to them as "Area Authorities." They ARE definitely Seventies, and Seventies that belong to quorums. The quorums operating out of Salt Lake City are known as the First and Second Quorums of Seventy, while the remaining quorums are called the Third Quorum of Seventy, the Fourth Quorum of Seventy, and so on. They ALL have the same responsibility, i.e. to operate under the direction of the Quorum of the Twelve Apostles; but curiously only the First and Second Quorum are paid offices, and commonly referred to as "general authorities." The 3rd through 8th quorums are not called general authorities. They are not called local authorities, either. They are called "area" authorities. How come? Beats me, because every single one of them has the same commission and the same duties in the church: to do the bidding of members of the Quorum of the Twelve. There is no scriptural nor historical precedent for dividing the later quorums into a class with separate rank and privilege. I guess the Church just doesn't want to pay them. So what is Robin Hood's beef? He seems to want me to acknowledge that Area Seventies are "local" authorities, because that is his view of them. Why then does he not insist the corporate Church, to which his allegiance lies, agree with him also? In every description I have seen, they refer to the First Presidency, the Twelve Apostles, and the First and Second Quorums of the Seventy as "General Authorities. They refer to Area Seventies as "Area Authorities." Bishops and Stake Presidents are the only ones dubbed "local authorities" as far as I have seen. I have already acknowledged that the corporate Church SAYS Area Authorities are not general authorities, and I made the correction in usage two years ago. But I continue to maintain that these Area Seventies ACT under the direct orders of general authorities, and that was my argument to Robin Hood when he insisted I change my opinion. "A Seventy is a Seventy," according to Hans Mattson, and he should know. The only thing that matters to me is that an authority whose office compels him to act under direct orders of a member of the Twelve is effectively an agent of the Twelve. For an agent of the Twelve to interfere in local church matters appears to me a clear violation of Church law. But that's not what matters to Robin Hood. He only wants me to acknowledge that he is right and I am wrong. But of what? As near as I can tell, Robin Hood wants me to admit that no one at Church headquarters instructed my local Area Authority to initiate excommunication proceedings against me. That is a fact I will admit to just as soon as Robin Hood manages to convince me he is right. For me, the idea that "Area" Seventies can rightly fall under the heading of a GA is easily justified by where they are called/sustained/released. Area 70s are sustained and released in General Conference. Bishops aren't. Stake Presidents aren't. Mission Presidents aren't. I say if it looks like a GA, walks like a GA, talks like a GA, and ACTS like a GA, then for all intents and purposes, it's a GA. The only thing different about these poor saps is they don't get paid like the Utah-based GAs. As Log has pointed out, Robin Hood's giddy conclusion that their unpaid status "proves" they are not general authorities, allows us to draw no conclusion other than that they don't appear to be practicing priestcraft as are their brethren in the Salt Lake City Quorums. Rock, I found a statement that Gileadi's excommunication was deemed a mistake. I listened to that very interesting interview about Malcom Jeppsen's journal today. She really didn't say much more than it was deemed a mistake. Do you happen to have any more information about that? I've heard a number of stories about Gileadi coming back into the Church. One of them was he begged Hinckley to let him back in. Don't know if that is true or not of course. If it is then he certainly did get his mind right. Thanks for your informative posts. iterry, I don't recall a lot of the details. There is not much publicly known, as I understand Gileadi was very sensitive about the whole affair. Gileadi never liked being identified as part of the September Six, because he felt he was loyal to the Church; unlike the others he did not speak out publicly about the injustice. He was a bona fide Hebrew scholar, teaching people to have a deeper appreciation for the Book of Mormon. But the details of his reinstatement are not known to me personally. I'll bet someone online has told the story if you care to google it. This Seventy dialogue is actually irrelevant. In the early church the Seventies were a general church office, and a Seventy was even considered to be an Apostle. Brigham Young and others, like P.P. Pratt are very clear on that. This notion was eventually lost and during the reign of Heber J. Grant c.s. it was degraded to a Stake calling; in 1986 the office of the Seventy was finally discontinued by the church. What we now have are High Priests that are called Seventy. But a High Priest of course is not a general church office. Hence this socalled Seventy cannot be a General Authority. The way the Priesthood has been dealt with and mixed up over the years proves how much this church has become out of order. There you go again Rock. I don't want you to admit that "no one at headquarters instructed my local Area Authority to initiate" your discipline. Why do you insist on putting words in my mouth? You, and especially Log, do this all the time. Not just to me I might add. I care nothing for who initiated what and why, in the context of this debate. All I ever wanted was for you to acknowledge that you were mistaken when you insisted that an Area Seventy is a General Authority. Why is that so difficult? All of which was interesting, but which served as a diversion tactic from the claim I challenged you about. And through all of it you refused to acknowledge your error even though you knew you were in error. This was, and is, my complaint. Prior to this incident I tended to read your essays without prejudice. I believed you were what you said you were. I believed you were, as you consistently claim, only interested in the truth. Because of your behaviour on the occasion in question, when it was clear to me that you were determined to save face rather than acknowledge truth, I abandoned my previous position regarding your motives. The reason this has rumbled on ever since is because I have spotted a number of occasions where you have contradicted yourself, or certainly proffered an implied contradiction, in this matter. All you ever had to do was acknowledge you were mistaken. I have been where you are just a few months ago. I always love how people make comments and then say " I am not going to debate with you" really? Are you that weak minded and in the scriptures that you are unable to defend your statements? Do you know what a soothsayer is? In fact, that is how it should be. If the leaders want an income, they can have it donated in a tithing slip category that says "living allowances" that money could then be dispersed among them WITH oversite and full disclosure. Why should they be able to take from church funds without any oversite or accountability to the members? Since the church is a corp, we are the investors! A financial statement should be provided of all expenses and pay outs. Amen! Not only that, but if a member has a question regarding doctrine, we are to go to Bishop, then SP and then appeal to the AA who will then first answer it and if that does not resolve, they take that to the FP and Q12. They ARE the mediator between us and the FP. They do not act on their own accord in these matters. A letter has been read in church several times on this issue. The FP has made sure we all know the AA are indeed that Authorities! dwills - good thoughts. I like Gileadi's translation a little bit better. Here it is for comparison. 21. those who at a word adjudge a man to be guilty, who ensnare the defender at court, who for nothing turn away him who is in the right. Pepper, because of the diabolical type of corporation the Church is today, members are not actually shareholders. In the original church as organized by Joseph Smith, members were legally "holders of Interest." That is, all money and property belonging to the church was held in common by the members, who had a say in the disbursement of the money or property. But when Heber J. Grant converted the church to a corporation, that specific type of corporation was a Corporation Sole, patterned after the Church of Rome where all of the church's property was owned and controlled by one man, the Catholic Pope. Thus, the Corporation of the Pesident is just that: a corporation where every single dollar and piece of property is owned outright by the president alone. This is a major evidence that the Church is NOT the church of Jesus Christ, and neither is it the Church of the Latter-day Saints. It legally belongs to the president alone. You are not consulted, and neither is Jesus Christ. The Church has changed hands, and done so without any revelation from God or vote from the members authorizing the change. Not only do the shepherds get fat from the flock, for supposedly feeding the flock, but they aren't even preaching that knowledge which saves. The membership of the LDS church is paying for false drivel, and they "receive it very well." For even if there are nine truths out of 10 taught it is not truth. As one other mentioned, this post saddens me as well, realizing that so many have been deceived, myself included. I do not hold a grudge however and I'm happy to move on from where I am now but as many have mentioned the Scriptures bear it out. Thanks for an excellent post, as usual, Rock. Where is the petition to open the books? We aren't gonna have to wait for cable tv show like on Scientology are we? Mission Presidents seem to do great by their non-income, income. It seems Mission Presidents (like all LDS paid ministry) live pretty high on the hog on the Church's dime, when probably lots of qualified couples who go on missions on their own dime would fill those slots for free. Hopefully people will think twice now and pay their own heating bill instead of paying for a Mission President's maid service, new car, kid's college and Christmas. True prophets & disciples of Christ give money 'to' the poor, they never ask or expect the poor to give money to them. you asked "where is the petition to open the books?" Good idea, this petition to open the books. I just signed it; we should all be anxiously engaged in the good cause, should'nt we. MrHR won't do any good. They've had this partition available for years and it's ignored. The Church is in complete apostasy and the won't change. God will have to intervene to correct the problem. The leaders are all going to hell for their rebellion against God. This year I was just told my raise will be 2% - the standard cost of living raise for all employees at the company I work for. If we take $89,000 from the paycheck 17 years ago and apply an annual raise of around 2% that gets us to the $116,00 in the letter for 2013, with a 3% raise that year we're at the $120,000 for 2014. Adding that to the last couple years and our beloved General Authorities should be clearing over $130,000 this year. I'm in the wrong business. And no one even answered Ryan's comment way up above about them living the law of consecration? As far as I understand, apostles and prophets give everything to the church when they are called, essentially living the law of consecration. It is important to remember that the apostles and the prophets were not poor men before becoming general authorities. I'm pretty sure Pres. Nelson could be sitting on a fine retirement from all his work in the medical field, much larger than the stipend he gets from the church. Or how about Elder Oaks from his law career. Or Elder Bednar. Or Pres. Eyering. Or any of them. I'm pretty sure if money was the motivation they would have given up long ago trying to travel and care for a church when they are in their 80's and 90's. The other piece to take into consideration here is that all things belong to the Lord and we are just stewards. If the Lord sees fit to ask me for a part of my stewardship to support those who are doing His work, I have no qualms about giving back what wasn't mine in the first place. In the end this all comes down to a question of testimony. If you have a testimony of God, His Son Jesus Christ, His Prophet Joseph Smith, the Restoration, and the prophet and church today, then you trust that the church is in the hands of the Lord and He is in charge of His kingdom and prophets. I have such a testimony. Are the prophets perfect? No. Are they men of God that I can trust? Yes. "We have also a more sure word of prophecy; whereunto ye do well that ye take heed, as unto a light that shineth in a dark place, until the day dawn, and the day star arise in your hearts:"
"Presumptuous are they, selfwilled, they are not afraid to speak evil of dignities. But these. . . speak evil of the things that they understand not; and shall utterly perish in their own corruption;"
Should we be speaking evil of the dignitaries of the church? Considering that Peter points to that as a sign of a false teacher/apostate, I think not. Do I advocate following blindy? Never. Gain your own testimony of the truth and the propehts and be led by the Spirit, not "trusting in the arm of flesh", and knowing that "whether by mine own voice or the voice of my servants it is the same." Rock, you posed the question in the post that you don't know why the Lord required or commanded that they take no purse or scrip and rely on the goodness of strangers or the church, (the members). My explanation or guess in my TBM days would be that they wouldn't be so far removed, as they are now, from the general membership. Members talk so much of the brethren as if they are these untouchable sentient beings. Imagine if they followed the course that had been laid out for them, where they are essential beggars for food. I strongly believe that the church members wouldn't be less idolatrous of them and would gain a charitable spirit towards them by feeding, clothing and putting a roof over their heads. In a sense a microcosm of what Jesus taught. Perhaps that's why leaders now are so cautious about teaching Christ and his teachings in Church, because Jesus always railed against the priestcraft of the Pharisees and Sadducees. Going without purse or scrip will certainly cause temporal anxiety, but it replaces it with a deep meaningful gratitude for the members rather than elitism. As far as relying on the charity of strangers it would be less about being their friends for the sake of converting them and it would cause a greater empathy to them as well. You make an excellent point, Colt. If the Twelve followed the commandments they were given and learned to rely on the members for their direct support, the Twelve would live in constant gratitude toward the members, rather than thinking of themselves as "leaders" with some kind of "charge" or responsibility over the members (which they were never given). The saints, in turn, would have a proper appreciation for these men as true servants, admiring them for the sacrifices they have chosen to make in the cause of Christ. The shameful idolatry that is so rampant in the church today would disappear, as would the idea that the Twelve are the leaders over the Church, which they were NEVER called to be. I enjoyed your post and it has made me think, if they are required to give everything up as quoted of other prophets of lore,then I dont think it mean to allow them to have something? BUT as but I mean not something akin to a salary most people never earn? Yes they should be humble and presentable to the world and other dignities they meet in our name [church] to further the work they are instructed to do. I also understand them using the local leaders as THE MAIN example of NOT earning a wages [ sneaky ] but in all honesty I could care less what they wore or where they ate or went as long as they are representing Christ according to D+C Revelations.